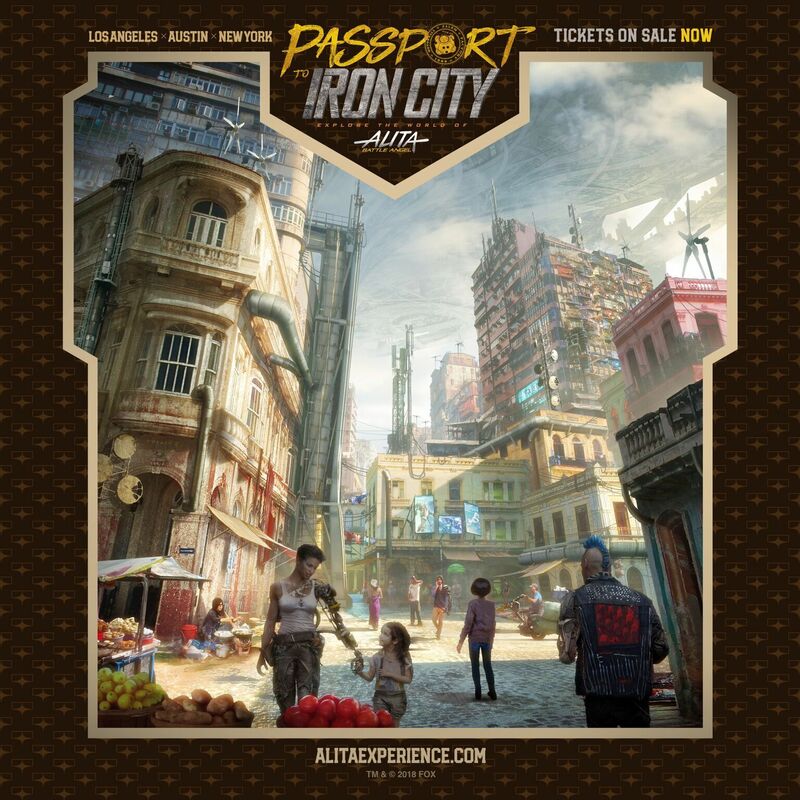 ALITA: BATTLE ANGEL – PASSPORT TO IRON CITY transports visitors directly into the futuristic world of Robert Rodriguez, James Cameron and Jon Landau’s upcoming 20th Century Fox film in advance of its February 14 opening. Guests explore the movie’s Iron City, which has been recreated down to the last detail by the film’s production designers, where they interact with the City’s gritty residents, earn credits by completing puzzles and challenges, experiment with custom technology built for the retro-future Alita aesthetic, and uncover hidden clues to determine their fate with the city’s controlling force. PASSPORT TO IRON CITY fully immerses travelers into the world of Alita’s touching cyberpunk story, and is unlike anything else.